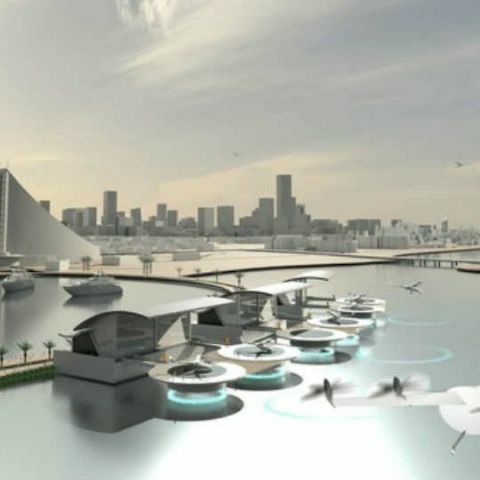 Ride-hailing app Uber has announced that it will start its ambitious flying taxi project in Los Angeles by 2020 to deal with the city's traffic problem. When Uber's Chief Product Officer Jeff Holden on Wednesday revealed the plan at the Web Summit, a technology conference in Lisbon, the company also posted a 100-second-long video clip advertising the flying taxi project named "Elevate", reports Xinhua news agency. In the video, a working mom books a flight through her Uber app and goes to a "skyport" on the roof of a nearby building. After her order code is scanned in her cell phone, she gets into an Uber flying taxi, a plane-helicopter hybrid aircraft with fixed wings and tilt prop-rotors. The flying taxi takes the woman back to another "roof airport", where an Uber vehicle taxi is waiting for her. She returns home to her children without suffering any stress from daily commute. The company predicted that a one-and-a-half hour car journey from Los Angeles International Airport (LAX) to the Lakers' home court Staples Centre could take less than 30 minutes using a combination of flying cars and regular cars. "Los Angeles is one of the most congested cities in the world today," said Holden, "They essentially have no mass transit infrastructure. This type of approach allows us to very inexpensively deploy a mass transit method that actually doesn't make traffic worse."